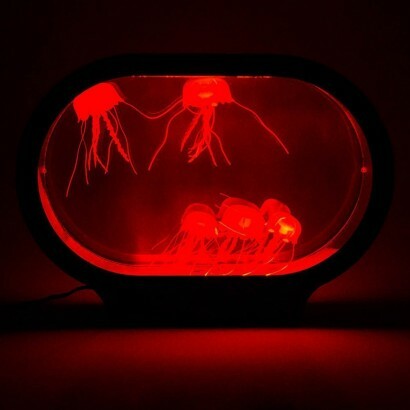 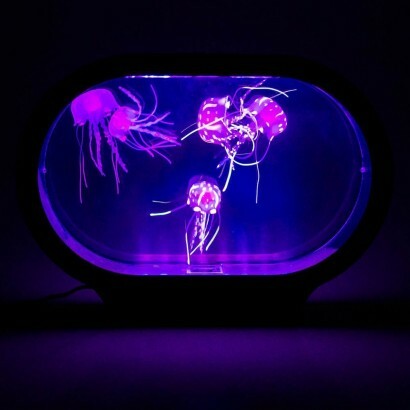 Five realistic jellyfish loop and weave around one another as they swim in this minimalist tank that's lit by colour change LEDs to make a mesmerising mood light. 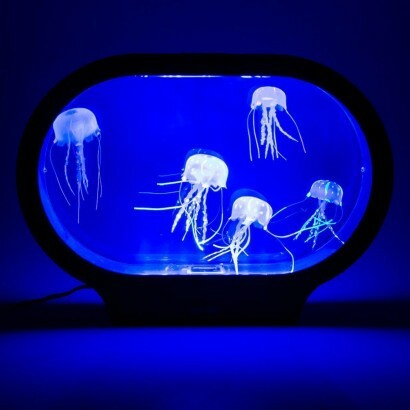 Lit by 24 colour change LEDs, choose from colour change or static colour functions allowing you to set the lamp to suit your frame of mind. 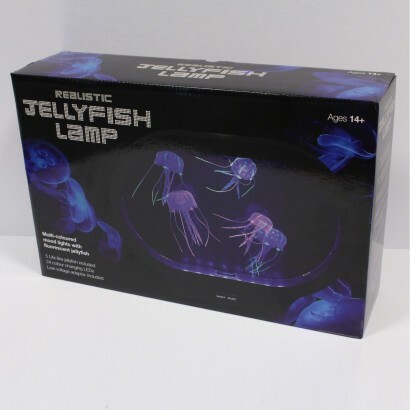 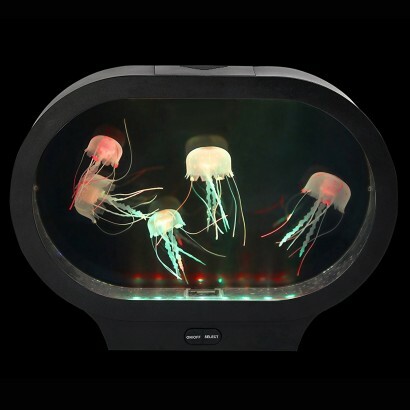 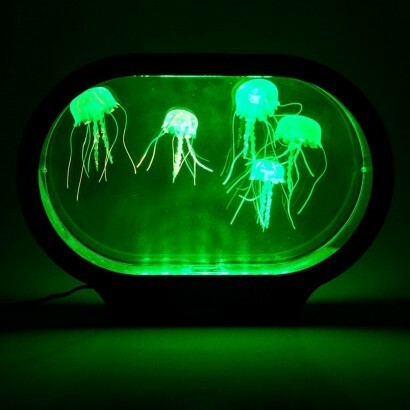 The combination of colour change light and neon jellyfish gently swimming around the tank makes for a beautiful mood light and it's four auto shut off means that you can sit back and relax and maybe even drop off in it's gentle colourful glow.